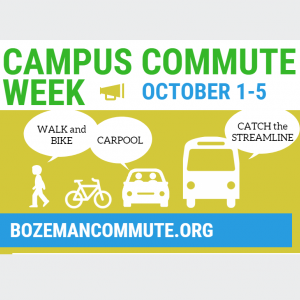 Whether you're a regular Streamline rider or a bicycle-curious car commuter, we invite you to join us for a week of exploring campus transportation options by attending the events listed below, and signing up at bozemancommute.org to log your bike, walk, bus, and carpool commutes in the Campus Commute Week Challenge! 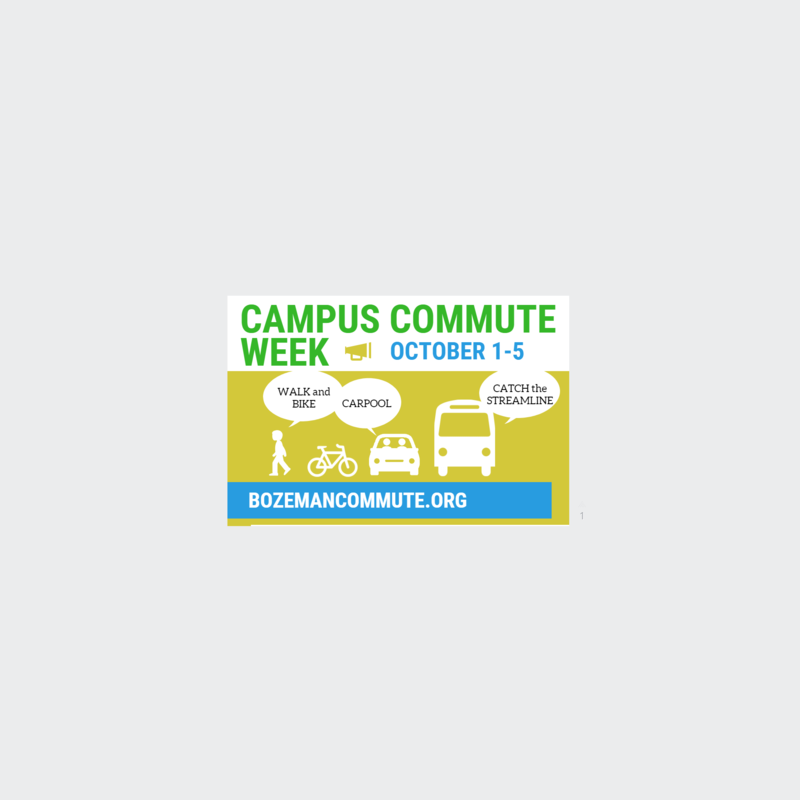 Students, staff and faculty can compete against each other to log their commutes on bozemancommute.org and be entered to win some great prizes! Sign up to log trips and find safe and convenient bike, walk and bus routes as well as connect with potential carpool buddies. Oct 3,4, 12-1pm @ Southside of Montana Hall - Campus walking tour of bike and pedestrian facilities and design and our vision for the future of multimodal transportation at MSU. Oct 3rd 5:00-7:00 pm @Outdoor Red Center- Open Shop Night: bring your commuter bike and learn some simple repairs from the mechanics at the Outdoor Rec Center!